Thinking of re-roofing your home? So-called green roofs proffer many benefits for the environment and your community—even your wallet. While they have been used for years in the United Kingdom and other parts of Europe, green roofs have only recently begun to gain popularity in the U.S. 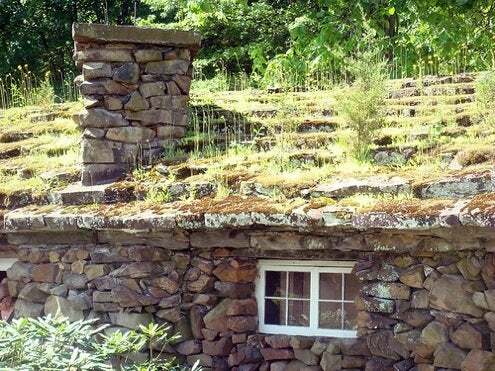 In fact, the number of living roofs nationally grew a whopping 115 percent in 2011, according to a study by Green Roofs for Healthy Cities, an advocacy organization. 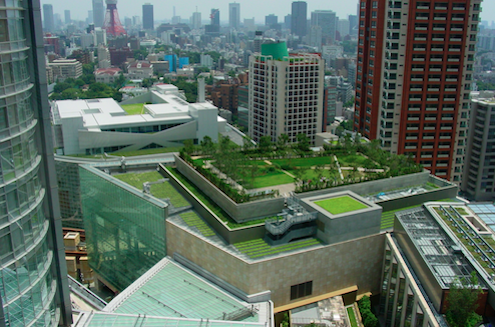 What exactly is a green roof, anyway? According to the American Association of Landscape Architects, a green roof is a lightweight, living system of soil, compost, and plants. 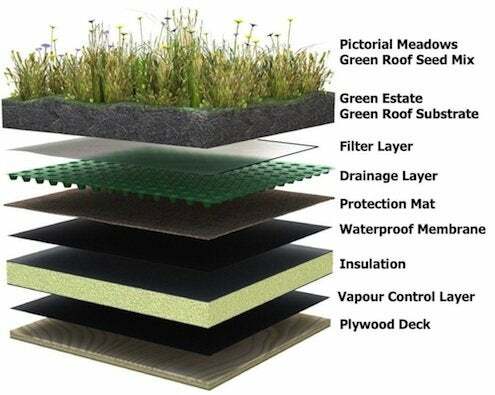 A green roof system is typically comprised of as many as nine layers. These include structural support, a vapor control barrier, thermal insulation, waterproofing, drainage, a filter membrane, growing medium and finally the vegetation itself. Environmental Benefits. In addition to filtering pollutants, a green roof absorbs storm water instead of allowing it to run off to the pavement or ground below. As the water evaporates, roof surface temperatures are lowered, particularly in urban areas with dense populations and areas with hot and dry climates. Improved Insulation. The layers of a green roof help insulate the interior, thereby reducing homeowners’ dependence on costly home heating and air conditioning. And because these roofs are varying shades of green, they remain cooler than black roofs in hot warm weather. 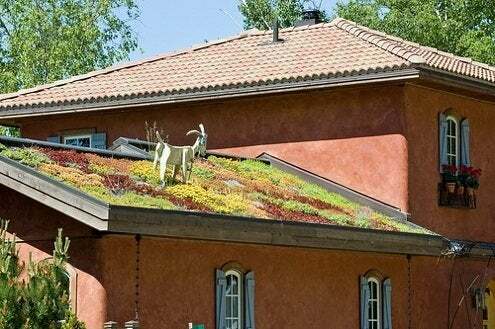 Wondering just how much energy you would save with a green roof? Try this handy Green Roof Energy Calculator. Green Oases. In some cases, green roofs support vegetable gardens. They also attract wildlife, such as insects, squirrels, and birds. If your roof is accessible, consider following the example of some condominium and office buildings that have turned their rooftops into relaxing garden patios. Green Roof Rebate Program of Washington, D.C.
Before you start your green home project, check your local building codes to be sure that a green roof would comply with relevant rules and regulations.